Perfect World Entertainment this week announced that Mirror of Discovery, the latest expansion, is now available on PC with Xbox and Playstation 4 coming later this year. 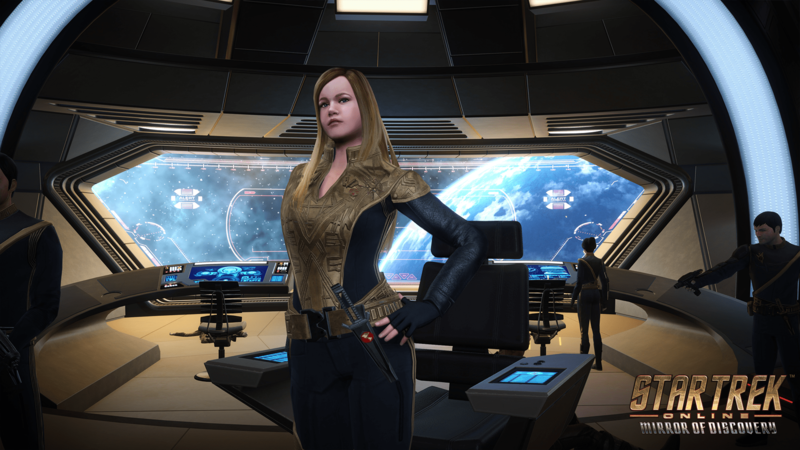 Star Trek fans will have the opportunity to meet Captain Killy of the Terran Empire, voiced by Mary Wiseman. Leader of the I.S.S. Discovery, Killy is never shown on screen in Star Trek: Discovery, however her reputation as a ruthless leader is often mentioned. Battle at the Binary Stars – By popular demand, the Battle at the Binary Stars Event is now available as a Task Force Operation, with the debut of Advanced and Elite modes that will challenge even the most experienced players.